School of Education dates back to the first women’s teaching institution founded in October, 1909 in Nikolsk-Ussuriiskin the Russian Far East. More than 25 000 teachers started their careers here. These days School of Education fosters innovations in education, experienced faculty and educational environment for self-development. 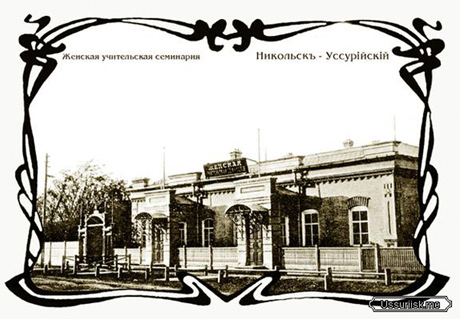 7 October 1909 - the first women’s teaching institution founded in the Far East in Nikolsk-Ussuriisk by Pyotr Nikolaevich Ryabinin. Having majored in secondary teaching the first students graduated in 1912. A primary school and a hospital were built. The activity of the first teaching institution was highly evaluated in 1913. It was first rate awarded for excellence in administration and management. The Teaching College moved down to a new location (a Building where Mathematics, Physics and teaching methods Department and Computer science, IT and training technique Department are located today) in November 1923. The first 28 “Soviet” teachers graduated in 1927. Mean while it was for 15 times when undergraduates got their degrees in the Far East. Part time students were admitted in the Teaching College on the 8th of October in 1930. The Department for Professional Development opened in 1933. During challenging war time students were taught not only to teach but to fight, they had military service preparation: mastering in using rifles, grenades and revolvers. Many of faculty left for fronts to defend Motherland. 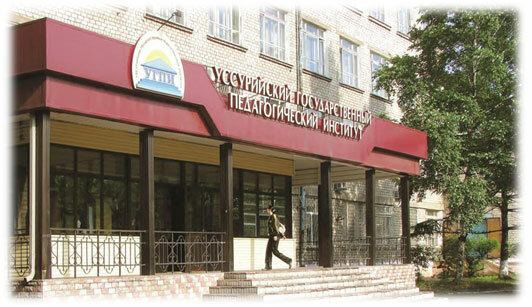 The World War II finished in 1949 and the Teaching College was transformed in to the Institute named “Voroshilovskii State Pedagogical Institute”. 1953 Voroshilovskii State Pedagogical Institute was restructured into Ussuriisk State Teachers’ Training Institute. The Departments in Physics and Mathematics, Phylology admitted their first students. Then the Department of Foreign Languages was added. Year upon year the new Departments, Chairs and Faculty were forming, they were experiencing management and administrating in Education, Research work, and financing of the educational process. Ussuriisk State Teachers’ Training Institute became a part of Far Eastern Federal University and today it has its name School of Education. It conserved the traditions and the spirit of legendary past. Contemporary School of Education occupies a large campus with 7 buildings, 3 dormitories and a number of workshops. The campus is located in historical downtown of Ussuriisk.